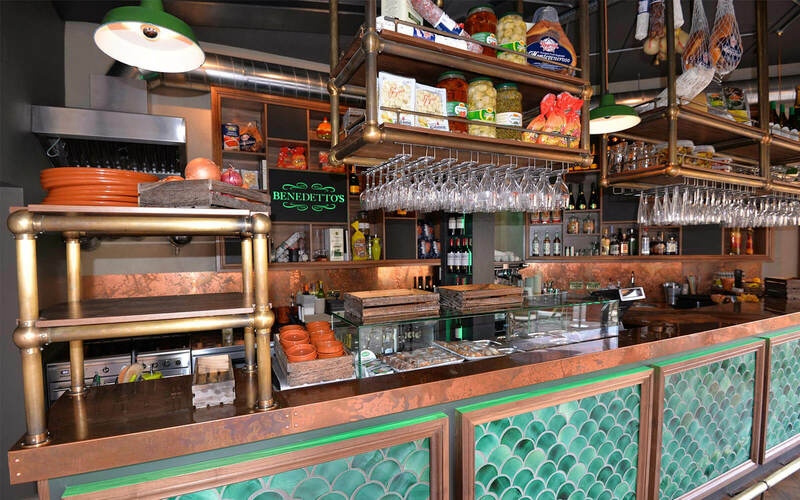 Perched on the banks of the river Cam, Benedetto’s is a small bar that offers a lot more than its size would suggest. 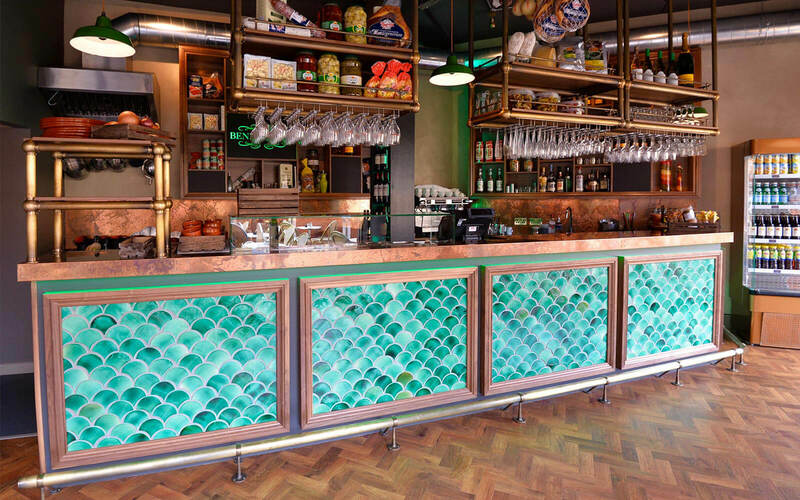 Loci were asked to transform a tiny redundant shop space into an exciting and individual Venetian style ‘Cicchetti’ bar, in the heart of Cambridge. 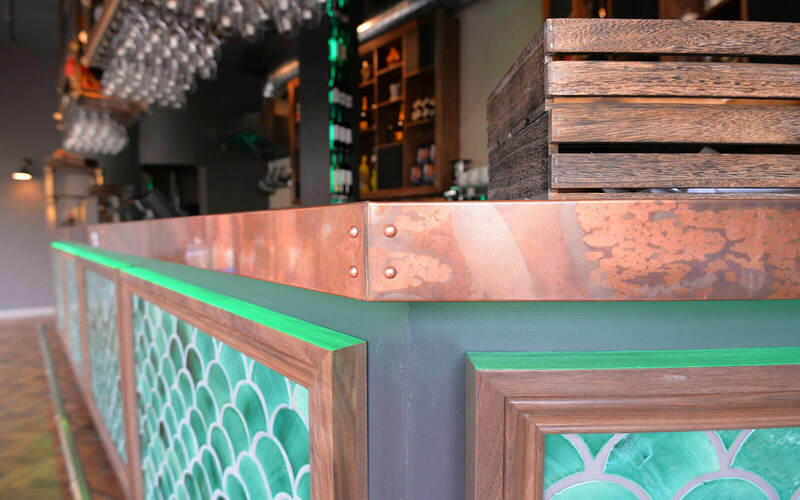 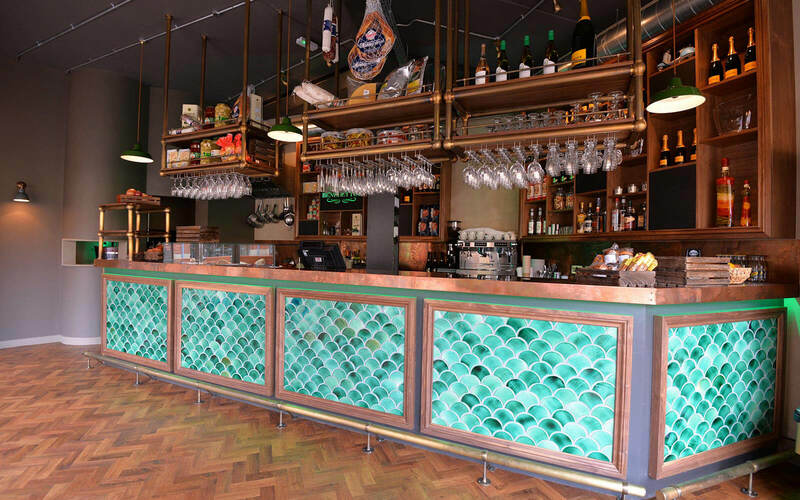 We were responsible for all of the planning, branding and interior design; commissioning the manufacture of bespoke fish scale tiles to decorate the refrigerated copper bar.